How to add comments to your tasks and share them with your teammates. 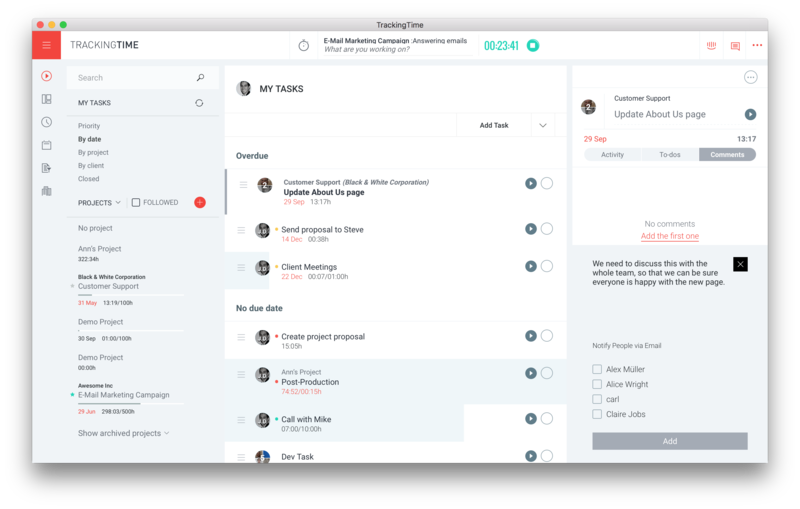 Task comments allow to you to keep all the discussions and conversations around your tasks all in one place, in context. Every user who has permission to view a given task is also allowed to leave a comment. To add a new comment, enter the text in the field and click ‘Add’. If you want to notify people via email about your new comment select the users from the list who should receive the email notification. Note: Currently, comments cannot be edited or deleted.